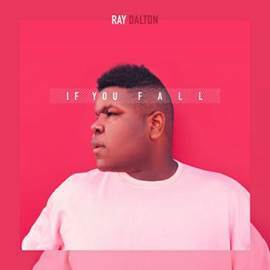 Grammy® nominated singer/songwriter RAY DALTON released his first-ever solo single on August 25th titled “If You Fall.” The song will be available on iTunes and all digital outlets. “If You Fall” was co-written by Dalton and Scott Effman (Chris Brown, Kelly Clarkson, Mike Posner), produced by Rufus Dipper, mixed by Michael Bruaer (eight time Grammy® winner, Coldplay, John Mayer) and mastered by Joe La Porta (Imagine Dragons, The Weeknd, The Killers). Dalton is co-writer and featured performer on such global hits as “Can’t Hold Us“ by Macklemore & Ryan Lewis (feat. 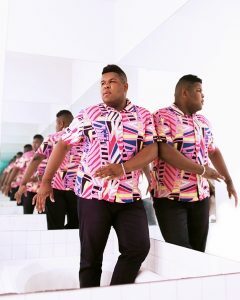 Ray Dalton), the worldwide smash “Don’t Worry” by Madcon (feat. Ray Dalton), and “Stronger” by DJ Arty (feat. Ray Dalton). “Can’t Hold Us” has yielded almost half a billion streams on Spotify, and a half a billion streams on YouTube. Certified 6x Platinum by the RIAA, the track hit #1 on four Billboard charts, including the Hot 100, and was a chart-topper worldwide. Named “The Most Streamed Song of 2013” by Spotify, and its massively popular Grammy® nominated video – featuring scenes with Dalton shot while on tour in New Zealand, also earned the singer two MTV Video Music Awards. “Don’t Worry” hit #1 in more than 21 countries, and “Stronger” has nearly three million streams on Spotify. DJ and record producer Ryan Lewis first contacted Dalton on Facebook for a possible collaboration in 2011, when Dalton was in the midst of pursuing his goal to collaborate with every known hip-hop artist in his hometown of Seattle, Washington. The multi-talented singer/songwriter was hoping that any of the powerhouse hooks he was creating would help him get discovered as an artist. The one that caught on – “Can’t Hold Us” – helped spur the track from the Macklemore & Ryan Lewis Grammy® winning album, THE HEIST, into an ongoing global phenomenon. Dalton is excited about sharing his deeper, ever-evolving artistry as a songwriter and vocalist with the fans who know him best from “Can’t Hold Us.” Certified 6x Platinum by the RIAA, the track was a #1 hit on four Billboard charts, including the Hot 100, and a chart-topper everywhere from Australia to Sweden, the UK and Poland. Named “The Most Streamed Song of 2013” by Spotify, it currently has over 520 million views, and its massively popular, Grammy® nominated video – featuring scenes Dalton shot while on tour in New Zealand in 2013 – has more than 520 million views. The clip also earned the singer two MTV Video Music Awards. The son of an African American father (a professional dirt biker) and Mexican American mother, Dalton grew up absorbing a wide range of music – from classic rock, R&B and gospel to Latin music and 70’s pop. 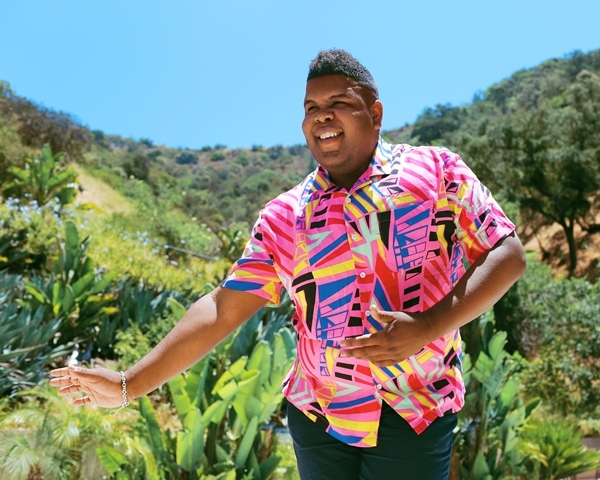 A classically trained vocalist, he began singing at the age of six, and the beauty of his voice prompted his music teacher to recommend that he join the Seattle Children’s Choir. At 16, he joined the Total Experience Gospel Choir of Seattle, and soon became a lead vocalist. As a member of this prestigious ensemble throughout his teens and early 20s, he toured overseas in Japan and South Korea, and sang three times for President Obama. A talented athlete throughout his formative years, Dalton once dreamed of playing tennis in college but chose to stay with the choir and pursue music instead. 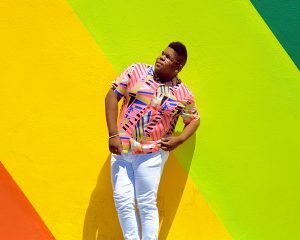 He met Ryan Lewis during a period of his late teen years when he was immersed in what he calls the “Seattle frat hip-hop scene,” and first collaborated with Lewis and Macklemore on “Wings,” the debut single from The Heist. Dalton recognizes that he’s at a unique turning point in his career, as he breaks out of the “famous featured artist” role and begins to forge his own identity and share his true musical soul. He says, “If You Fall” is just the first of many tracks he will be releasing in the coming months. Thanks for your time today! How has 2017 been treating you? Musically, did you and the rest of the band approach this year any differently then you did last year? 2017 has been amazing. I’ve spent the last couple of years putting together over 30 songs that have a ton of potential, so coming into the new year we knew that this would be the year that I finally released my solo music. The response to my first single “If You Fall” has been overwhelming and I’m so excited that people are really connecting to it. Today finds me sitting on my deck enjoying the view of The Puget Sound. If ever I’m in a bad mood or looking for some additional inspiration I put on anything from Lady GaGa to the classics by Pavarotti. 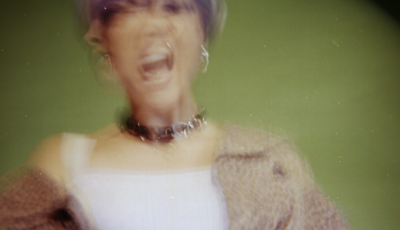 Growing up I wanted to be a professional tennis player and I still play regularly…but my earliest musical memory would be sitting in the back seat of the car with my mom and dad and singing along to whatever came on the radio. If i wasn’t a musician I would be a high school or college counselor. I love the idea of making a difference in the lives of young people, and I still hope to find ways to influence others both with my music and beyond. Can you recall the moment that this group all decided that you could be in a band together and play music? Was it an organic process? Though I collaborate with songwriters and producers I work as a solo artist. Getting to collaborate with artists like Macklemore and Ryan Lewis, Madcon and Arty was a lot of fun over the last few years. Each time it was organic and we really vibed together. With my solo music I’ve been able to work with different producers from all over the world. The songs I’m feeling the most right now that we’ve worked on have definitely been about creating great chemistry in the studio and writing about things that are really important to me. I love my city – Seattle, Washington. Growing up in Seattle and becoming an artist here has given me a solid foundation to develop who I am as a person and as an artist. I owe a lot to the early opportunities that were given to me by Pastor Pat Wright when I joined The Total Experience Gospel Choir as a teenager. She’s been one of the biggest influences on me musically and emotionally and I will be forever grateful to her and the choir for that. You recently released your first ever solo single called “If You Fall.” What does that feel like, to finally be releasing something that is all yours alone? What was the inspiration for this track? “If You Fall” came out August 25th and it’s been such a long process to get to this point that the emotions of it all are just now hitting me now that the song has been released. 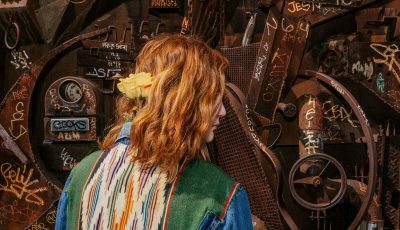 I wrote the song with my friend Scott Effman and just came into the studio one day and had a lot going on in some relationships that I wanted to write about. 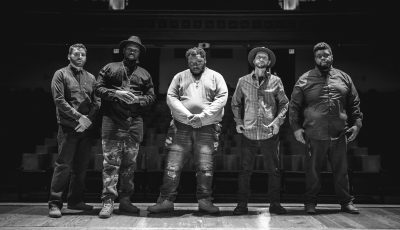 The song itself came together pretty quickly but the production took a while to get right. At one point we had set it aside for a couple of months but eventually came back to it and got it finished…and I’m so glad we did. When do you hope to release more new music and full EP or album of new songs? How do you think “If You Fall” prepares people for you and the rest of your forthcoming music? We have other singles in the works that will come out over the next year. The hope is to begin establishing my presence in the music industry as a solo artist who releases music that moves people and creates moments that remind them why they’re alive. I’m obsessed with the idea of encouraging people to love their life and share that love with the people around them, and to help create an escape from some of the pressure that most people feel on a regular basis. Eventually we’ll get to releasing an EP or LP but right now we’re focused on releasing singles that get people on the dance floor to have some fun! How do you think that you have grown as a musician since you put out “Can’t Hold Us” with Macklemore & Ryan Lewis? How did that collaboration first come to be? Are you still in awe that it happened at all? I am beyond proud of “Can’t Hold Us”. Since we wrote that song and released it, I have grown so much musically, emotionally and professionally. I’m so grateful to be apart of the Macklemore & Ryan Lewis movement. Working with them on The Heist was an adventure and something I’ll always appreciate being a part of. I read that you sang for President Obama three times! What were those experiences like for you? Yes, I sang for President Obama with The Total Experience Gospel Choir. Having the opportunity to actually meet him and shake his hand will certainly be a moment that I’ll never forget. With the summer being just about over, what was your favorite part about it? What was something fun that this group did or tried? Did you get to play out live much at all? This summer I enjoyed spending time with my family and best friends. The summer is a big event in Seattle because the weather is so special so I was able to spend a lot of time on the water, boating with friends. I also spent time doing what I love the best…discovering new tequilas! The world is crazy right now, but I think it’s in times like these that we’re also exposed to so many incredible activists and influencers who are giving language to the experience that many of us are going through. I’m grateful for how activists are using their voice to speak on behalf of others. With the music I have been creating I want to provide people an escape from the madness of what’s happening in the world, if even for a moment, and hopefully bring people together to experience a little bit joy and happiness. I’ve been inspired by so many amazing artists like Amy Winehouse, Fleetwood Mac, CeeLo Green, Lizzie, Wrabel, Lady Gaga and many more. My dream is to work with Lady Gaga, Santana, Elle King, Celine Dion, Missy Elliott, Lana Del Rey and many others. I want to do my part to give my love away, while also bringing people together for a good time! Believe in yourself and put in the hours that it takes to be the very best that you can. I’m so excited to be on this journey and grateful for the opportunity to share my story.